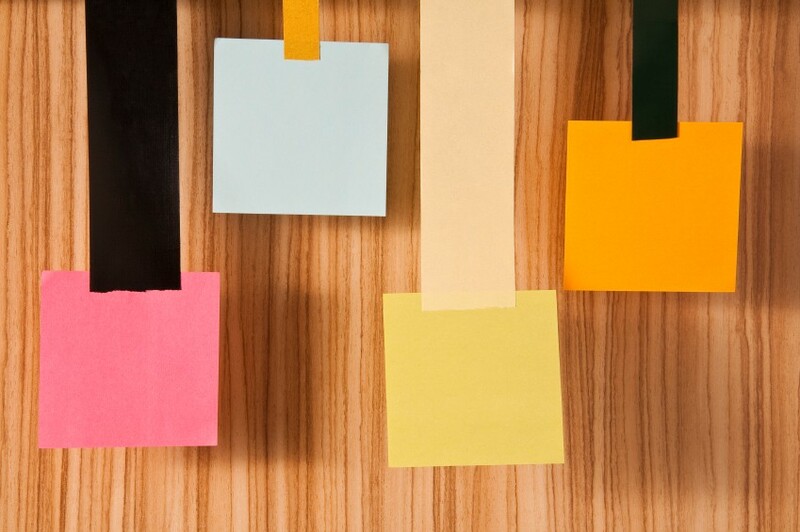 Sticky notes, just like the ones i have on my wall at home. I’m sitting here and wondering if I’ve forgotten how to think. Not the every day “wonder what I’ll make for dinner?” thoughts, but the deep thoughts of an intellect. After all, I did consider myself an intellectual at one time. I definitely married an intellectual. I’m a writer. Not the best, not the worst, but I get by. The majority of my writing over the past decade has been online content production. Yep, we call it content. Shakespeare is rolling over in his grave and composing a new play where I’m slowly poisoned by a thousand lead pencils. I’m sure that somewhere in the great hereafter he had to wrestle with Austen, Kerouac, and Hemingway to win the rights to write about my slow, painful death. Mark Twain voted I should get tossed into the dank murk of the Mississippi River. What happens when a writer wonders if they’ve forgotten how to think? We cry, a lot. We drink a lot of coffee. We don’t eat. We drink more coffee.We sleep a lot. We play an obscene amount of Candy Crush. Our Klout score goes through the roof because we’re so busy utilizing our social media networks to their fullest potential. Has my social media usage affected my ability to think? If I’m on Twitter, I’m thinking in 140 characters. Even less if it’s something I want retweeted. Facebook has to be short and witty, without links, so it doens’t get dumbed down in their algorithm. Blog posts, in the lifestyle blogging world, are optimal between 300-500 words. Somewhere, I’m expecting to hear a bell “ding, ding, ding, ding” and to hear Johnny say to Ed “tell her what she’s won…”. How long have I been using social media? Long before it was called social media. I met my husband in a chat room in 1998. Back when you dialed in and hoped your friend working that night didn’t kick you off for spending too many hours online. Heck, you just hoped you could dial in and there wasn’t a busy signal for hours. Before then, I was a thinker. I took long drives just to think. I had the tools I needed for those drives: a large soft drink and a pack of menthols. I used that time to create stories. To daydream. To fantasize. And one day, I just quit. It was probably after marrying, working full-time, running a household, becoming a parent and responsible member of the PTA.I was still writing, but not much. Throw in some heavy family illnesses and deaths, full-time college course load, and a detour doing heavy environmental writing and research, my creativity was shot. How shot was it? That was 2009. I still have little pink post-it’s hanging on my wall with book ideas. There are still unopened letters from the Society of Children’s Book Writers. This was back in the day when I obsessed with writing the perfect picture book. Believe me, you have to think big to write small and I wasn’t thinking. Fast-forward and it’s 2013. I’m still producing content online. Daily. Most of it’s fluff I don’t need to think about. It just flows out of me. Plenty of people would say they are jealous of that ability. I’m not. I’m concerned that my ability to let the small things flow out of me are hindering the big things left festering within. My friend, Jim, calls it “the beast.” It’s sitting in our bodies, waiting, pushing, tugging, pulling, scratching, clawing, screaming to get out of us. Jim was recently able to let his beast out. Well, part of it. He took it for a walk, let it get fresh air. But even if his beast is currently resting on paper, I know the majority of it is still inside of him, waiting to start it’s throbbing hum, pounding in his heart and his brain, willing itself to force its way through his fingertips and on to the screen. You see, the beast is a mother fucker. Currently, it’s raging in me and I have no idea how to let it out. It needs to breathe, to live, to come alive. And I have no idea how. So I sit here, at 1 a.m., wondering how to dive back in…to me. That is what this whole diatribe has been about, getting back into Lisa’s brain and utilizing it. After all, I’d hate for them to resort to a cage match in the hereafter while pondering the next play written about my demise.